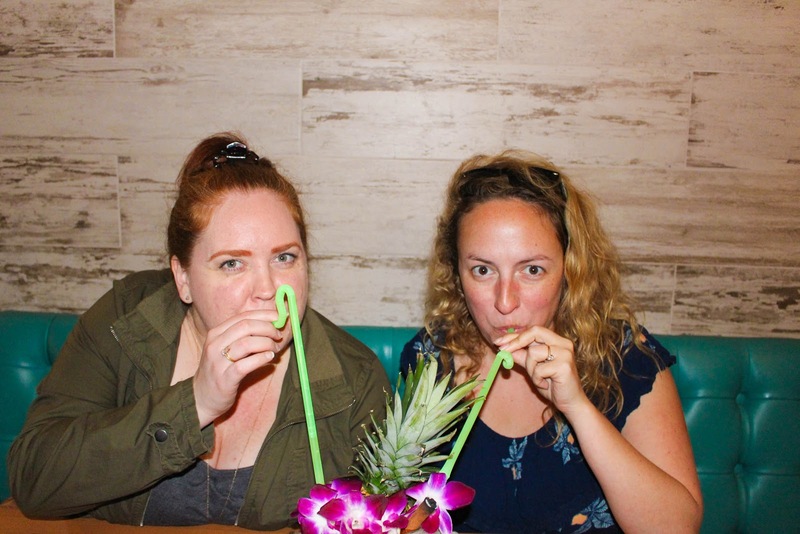 Plus, a distraction from the weather was necessary so that we could properly do what we were there to do: celebrate Makena's new job and the end of a looooong and exhausting work project for me. So, naturally, we started off with a giant shared cocktail. 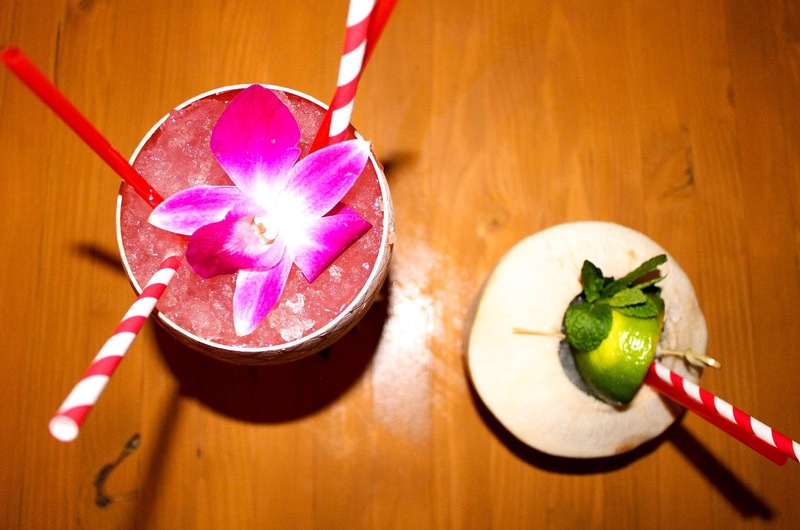 This is what Miss B's is known for after all: their massive tiki drinks that are perfect for sharing with friends. We started off with the Christopher Oaxacan, which is the tequila, mezcal, grapefruit, pomegranate, and cinnamon delight that I mentioned before. It's perfect for 2 people. But if we'd had more people (or more drinking stamina)... then it would been hard to turn down their Havana Good Time, which is served in a giant rose gold flamingo. This massive and gorgeous drink can be shared with 3-5 people and is full of vodka-y, pamplemousse-y, cucumber-y, kombucha-y goodness. I would know.. 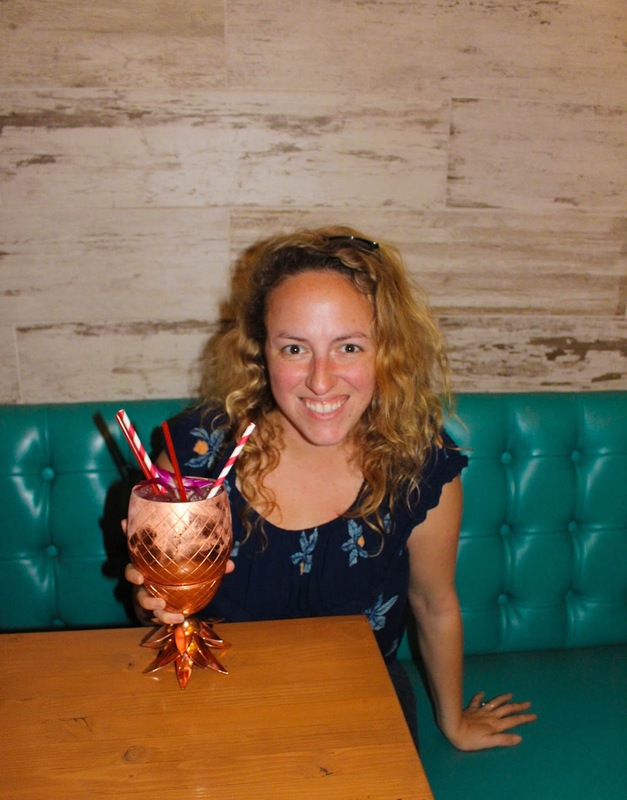 I eventually got the one-person version in their adorable rose gold pineapple cocktail mug. 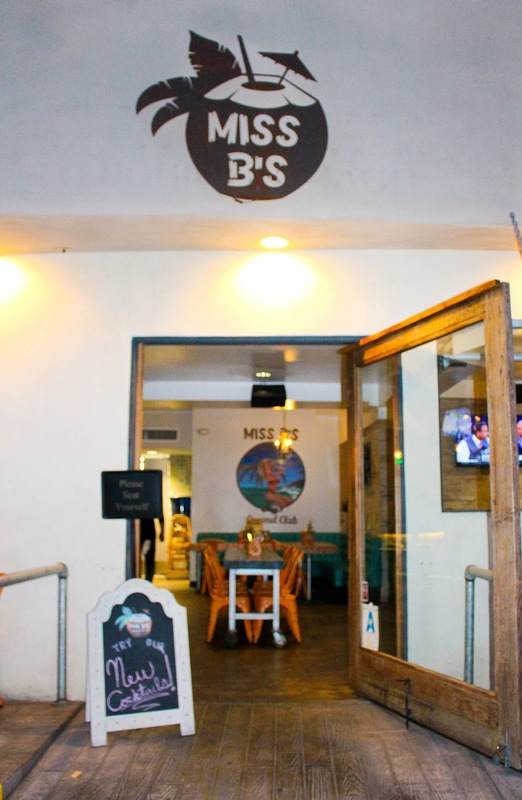 Between the atmosphere and the delicious cocktails, Miss B's wouldn't need much else besides basic bar grub for food and they would still stand out. 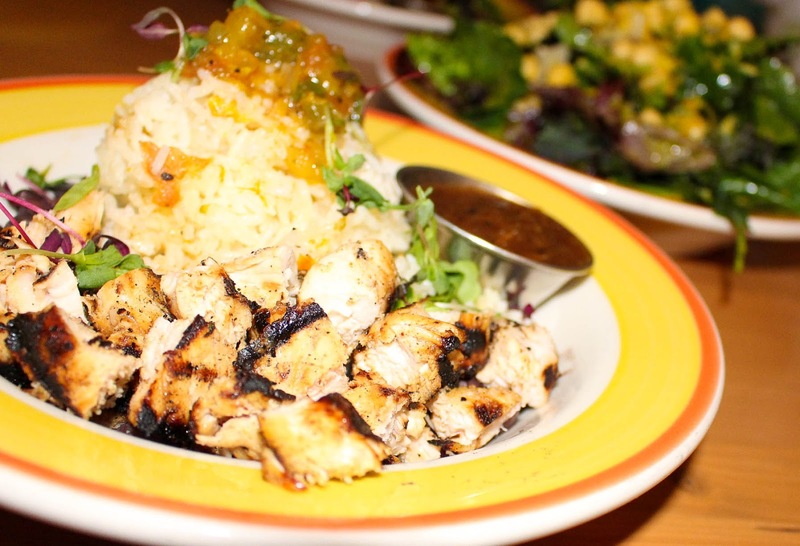 But their island-inspired dishes are what have me craving a return ever since our visit. 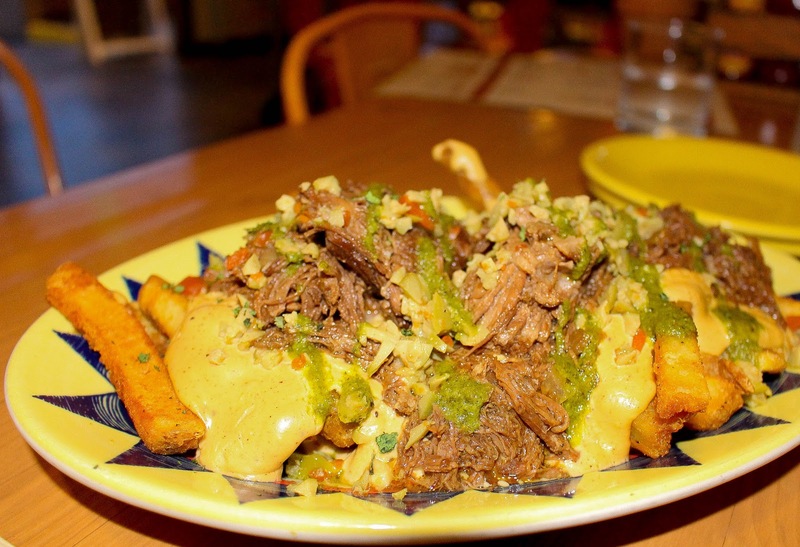 We started out with the Ropa Vieja Fries, the ultimate comfort food: seasoned fries smothered in braised beef, Jamaican beer cheese and chimichurri sauce. These really hit the spot and the beer cheese was unbelievably good. 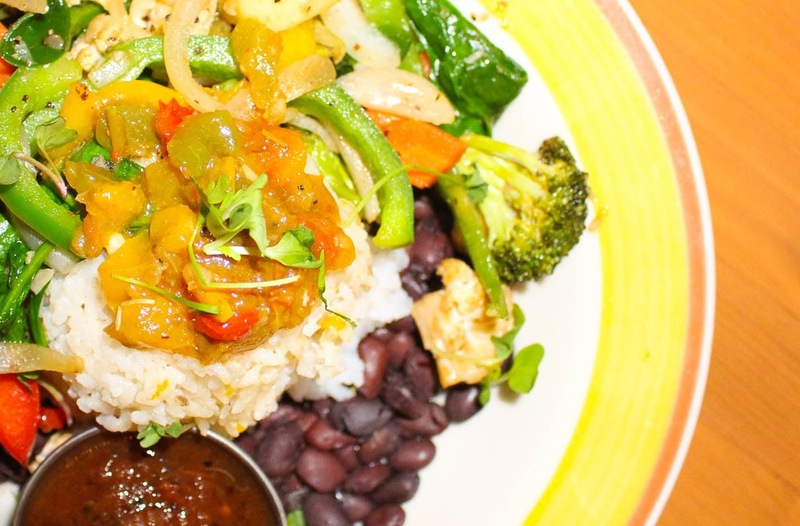 Because it was still pretty gloomy outside, comfort food was still the name of the game when it came to picking entrees. 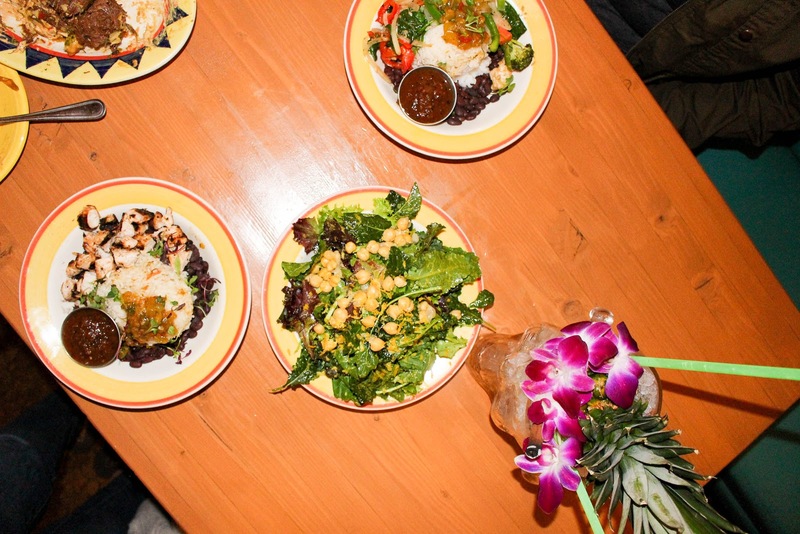 We ordered a kale salad to share and then built our own rice and bean bowls: house veggies for Makena, jerk chicken for me. 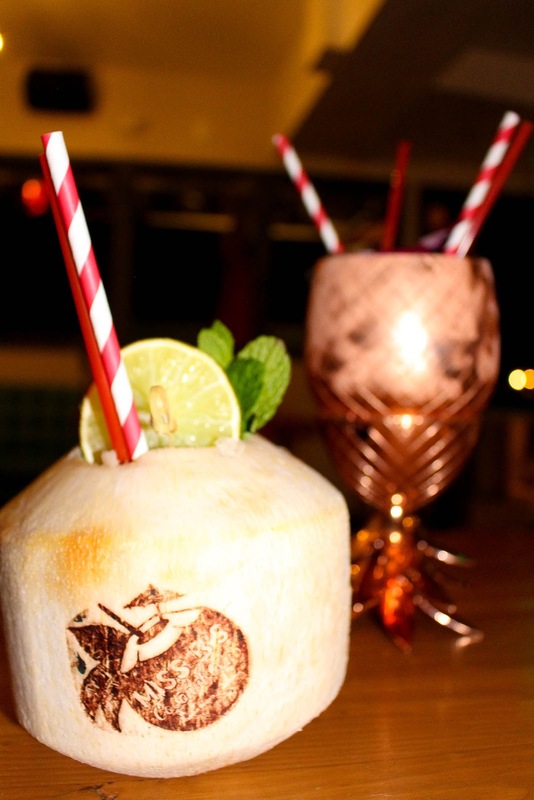 And of course, dinner wouldn't have been complete without trying some of their other cocktails: I ordered the Havana Good Time, while Makena opted for their Lime in the Coconut, with Absolut Lime, Rhum, coconut water and coconut cream. 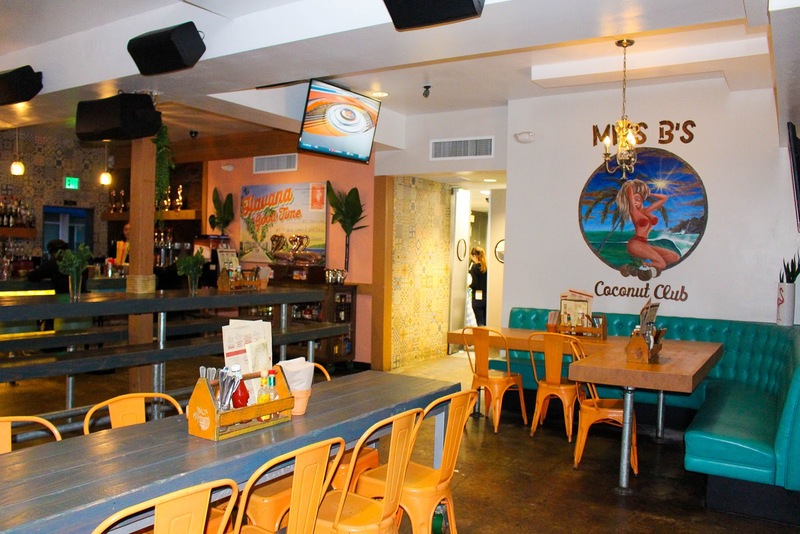 While Miss B's is a great place to have dinner with friends, it's an even better place for having brunch with your friends. 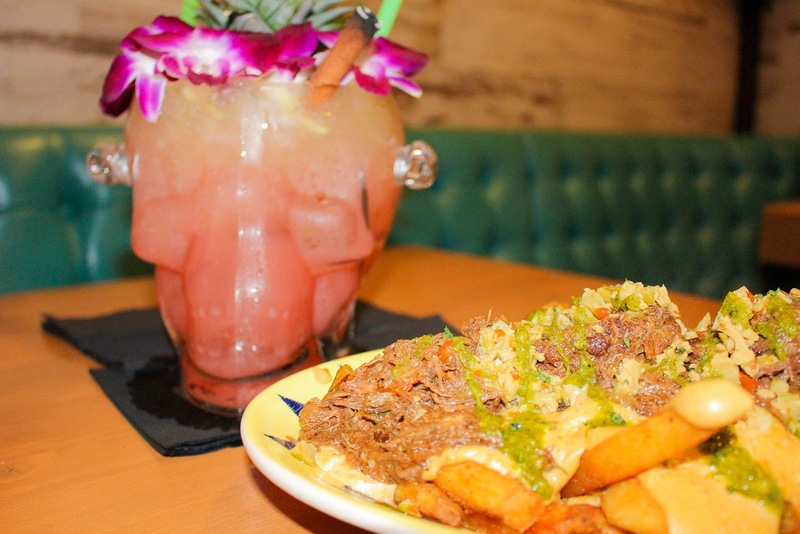 Their brunch menu looks amazing: watermelon mimos, jerk chicken and waffles, acai bowls and cold brew coffee cocktails with coconut? 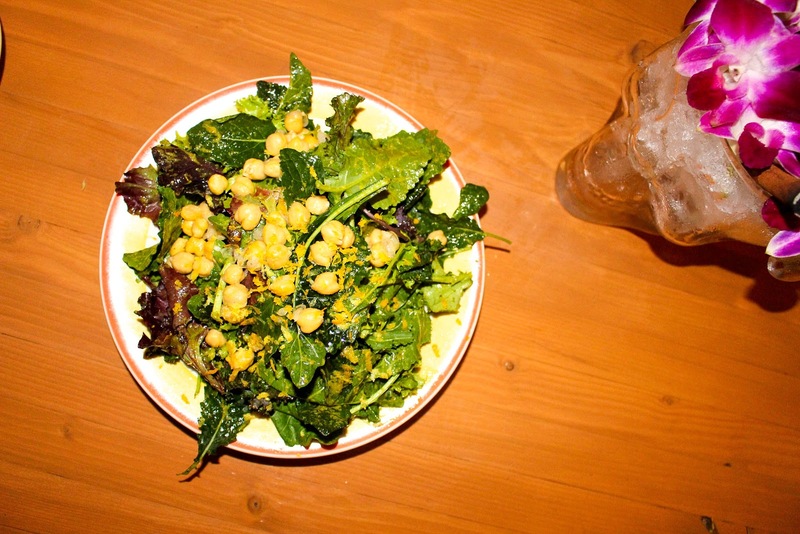 It sounds overwhelmingly perfect for a nice brunch after paddleboarding at Mission Bay. And if you have visitors in town? Well this is definitely the perfect place to welcome them to our little slice of paradise.